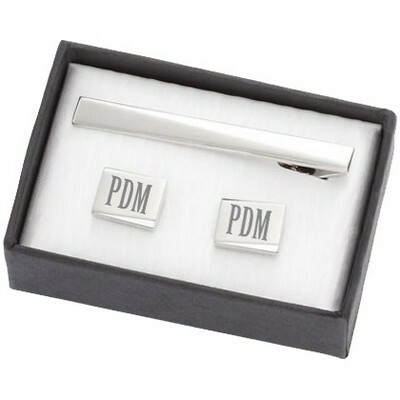 Give a stylish and unforgettable gift "suitable" for any guy with our personalized men's cufflinks. Cufflinks are the accessories that pull together a suit and help a guy look his best, so give a helping hand by choosing from one of our many customized cufflinks - oval, rectangular, rhodium, or gold - we definitely have something to nicely fit your recipient in mind. Our engraved cufflinks make perfect anniversary gifts, gifts for him, or groomsmen gifts. 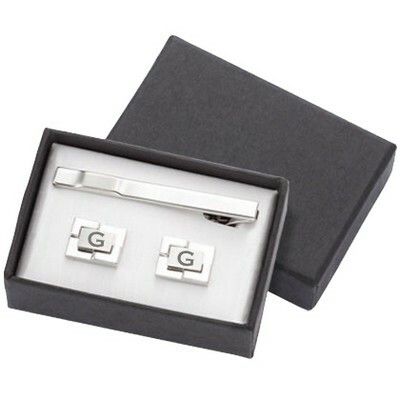 Help him keep these cufflinks organized and protected with our men’s valet boxes.